Donate here to create the larger film to show the world how beautiful our forests are. Go and see this beautiful place, it's your place to enjoy. Winners of the Icebreaker Great Exposure Contest. Prizes on the way and thank you to all the incredible photo's received for this contest. There were several hundred submissions and while we can only award 6, many will appear in the upcoming book on the park. Whole food company Loving Earth have celebrated the Great Forest National Park in their super successful Boobook Eggs. The caramel chocolate eggs sold out in record timing and now the company are working on their next support for the GFNP. Thank you for your kindness and generosity. 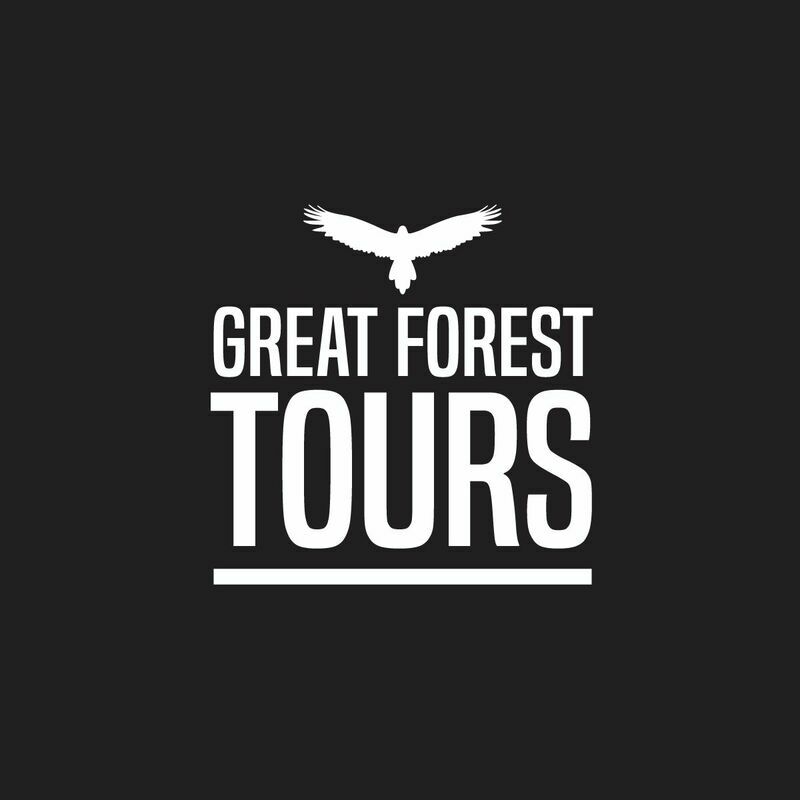 GFNP classroom from Great Forest on Vimeo. Victoria’s proposed Great Forest National Park could draw almost 380,000 extra visitors a year to the Central Highlands, add $71 million annually to the local economy and generate 750 jobs with a little private investment, according to a new report by the Nous Group. The Great Forests National Park proposal is a vision for a multi-tiered parks system for bush users and bush lovers alike. It is a Parks system that protects and maintains important ecosystem functions critical for our way of life. See the Park Plan. Less than 90 minutes drive east of Melbourne, the Mountain Ash forests of the Central Highlands are the key source of the city's drinking water and the home of the tallest flowering trees in the world. A park proposed for the region has Melbourne buzzing with new investment ideas in tourism, boosting regional jobs while conserving an incredible landscape and its wildlife. The signature tree of the proposed Great Forest National Park is the Mountain Ash (Eucalyptus regnans). The tallest plant ever measured, at over 140 metres, was “The Ferguson Tree”, found near Healesville in 1872. Ash forests provide habitat for a range of wildlife, threatened by decades of fire and logging. At least 40 of these animals need tree hollows to live and breed in. It takes around 200 years to create such habitat trees. The critically endangered Leadbeater’s Possum, the faunal emblem of Victoria, occurs nowhere else. A history of landscape-scale logging and fire has meant old trees are being lost and not replaced, becoming ever more scarce. Only 1% unburnt and unlogged Mountain Ash forest now remains. The Mountain Ash ecosystem of the Victorian Central Highlands has been scientifically assessed ‘critically endangered’ under IUCN criteria. This underlines the need for a new park to protect and restore these forests. The geological centre-piece of the proposed Great Forest National Park is an ancient 30 kilometre wide volcano, the Cerberean Caldera. Its eroded rim is marked by waterfalls and rugged ranges that define the skyline, creating some of the region’s most dramatically picturesque outlooks. The Cathedral Range between Marysville and Alexandra is one of the grandest examples of these sheer jagged outcrops. Mt Torbreck’s waterfalls, in the north east of the cauldron, are little-known hidden gems. Further east the austere rocky peaks gently give way to Alpine heathland and snow gum forests of the Australian Alps. The Great Forest National Park, so close to Melbourne, will be a great community asset; a playground for the people - the perfect place for city folk wanting to escape the daily grind. It will generate new, long-term jobs while protecting threatened species, ecosystems, carbon storage, and water supplies. It will revitalise peri-urban and rural communities, some still recovering from the Black Saturday fires in 2009. The time is right to create a new Great Forest National Park. The time is now! The Great Forest National Park will provide an opportunity for people to experience this unique natural area through walking, camping, touring, four wheel driving, mountain biking, guided trips, skiing, multi-day hiking, canoeing, cycling, bed and breakfasts, day tripping or experiencing the cultural heritage of the region’s Traditional Owners. It will attract local and international visitors alike. The proposed Park will value the region for its critical role in supplying 4 million people with some of the highest quality drinking water in the world, sustaining the most carbon dense forests and protecting critically endangered and rare wildlife. The Park will enable the state of Victoria to match its counterparts in other states in recognising, valuing andcelebrating Australia’s globally significant biodiversity and cultural heritage. The proposed parks system features the signature tall trees of the Mountain Ash (Eucalyptus regnans Muell.) forest, which support a diverse array of wildlife, some of which are found nowhere else on Earth. The Park features a diverse assemblage of plants and forest types, ranging from rainforests to alpine woodlands and herb-rich foothill forests. The Great Forest National Park will recognise and protect the outstanding natural and cultural values of the unique forests covering the Central Highlands of Victoria. This summer how about some adventure? The sun is setting, slowly dipping the forest into darkness. Its weakening grasp on the day releases the cold air from its grip on the ground. Around you, the forest is singing a song about the passage of time, if only you know how to listen. ‘The birds are calling less than in the morning, but still nevertheless calling, and they’re just confirming their territories before there's an extraordinary change in the light in this long dusk period,’ says Lindenmayer. Then the possums and gliders come out. Then the nocturnal birds start their calls. Listen closely to hear the sounds of the evening shift change in the Mountain Ash Forests of Victoria in this episode of Off Track. Please click your favourite activity. If your activity of choice is not there, then please send an email greatforestnp@gmail.com and we will add it to the list. These are a summary of suggestions to date. Donate to make it great! Click here to make either a tax deductible, or non-tax deductible, donation to keep this initiative growing. If you would like a Prospectus on the business model for the park, email Sarah Rees directly here - Thank you. Over thousands of years, nature has provided the resources that have helped us to survive and flourish. Now, in a time of need, we must help nature to survive. The Great Forest National Park is a project to secure the future of a threatened ecosystem. If we act now, we will be ensuring the forest can continue to provide services that support us- clean water, fresh air and storage of carbon. If we fail now, what future will we have chosen for our grandchildren and their grandchildren? Please join me in supporting the creation of the Great Forest National Park. Canon Australia has recognised The Great Forest National Park initiative in it's annual environmental grant program, commending the project and its team, "our judges really loved your project and what your organisation stands for". And awarded a prize for our work. Well done everyone who is helping to make the #GFNP a reality - this goes to you! Congratulations on being Highly Commended by our judging panel. The Providore at Meletos stocks regional produce, house baked sourdough, curated homewares and fresh flowers. If you feel like outlining your interests and skills, feel free as it helps us to tailor your interest to the right area. Download the badge to display your support for Victoria's newest park. Copyright © My/Forests Inc 2017 All Rights Reserved.